A little known and often forgotten truth is that not all political change in California comes via the ballot box. Once a decade, the demographers and cartographers replace the voters in the leading role by advising the California’s Citizens Redistricting Commission, which is charged with drawing the political boundaries for California’s congressional, Senate, Assembly and Board of Equalization seats. 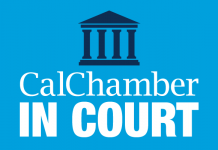 The process of redistricting or redrawing the political lines in California will be placed into the hands of the newly installed commission in August 2020. 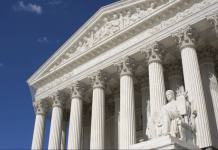 While the work of the commission may be some 18 months out, the process leading up to the selection of the redistricting commission starts much sooner—in fact, almost immediately. Citizen participation is the cornerstone of the process of drawing the political lines in California. It will play a critical role in determining the quality of who represents business owners and members of the employer community in Sacramento and Washington, D.C. Taking a step back, let’s recall that in 2008 voters passed Propositions 17 and 20 to create the Citizens Redistricting Commission. The purpose of creating the commission was to take politics out of the process by removing the inherent conflict of interest of having elected officials choose voters as opposed to the other way around. In previous eras, the so-called gerrymandered districts were subject to numerous court challenges. The challenges came about because oftentimes the newly drawn district lines defied logic and disenfranchised great swaths of voters by splitting cities and communities of interest. Politicians making such claims now are from a bygone era and part of California political lore with the advent of the Citizens Redistricting Commission. The vastly improved commission process created a new standard for openness and citizen participation by conducting 34 public hearings across California and taking into account more than 20,000 comments in writing. Because of the process, the new maps withstood multiple legal challenges and received positive reviews from academic, legal and media observers. 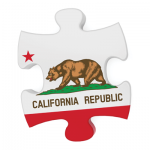 The Citizens Redistricting Commission is comprised of 14 members and its work is supervised by the office of the nonpartisan California State Auditor. The commission membership must include five Democrats, five Republicans and four members who are other or no party preference (NPP) registered voters. • You’ve been a registered lobbyist. If you are interested in taking the initial step by submitting an online application to the Auditor’s office, please click the link below and get ready to map the future of California democracy: shapecaliforniasfuture.auditor.ca.gov. Martin R. Wilson is executive vice president, public affairs for the California Chamber of Commerce.